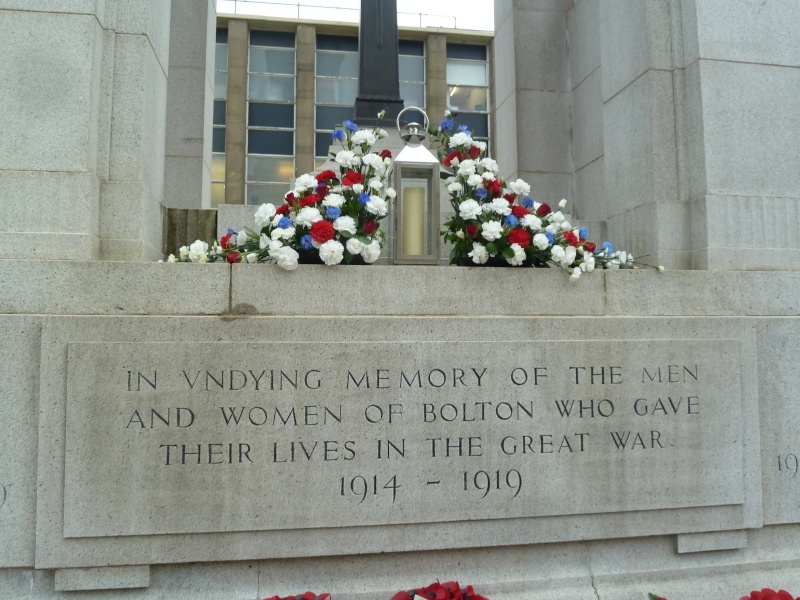 At 11am we will have a two minutes silence, on both days (no banner) in memory. Remembrance Sunday will take place on 8 November this year, with the main service taking place at the Cenotaph in Whitehall, central London. 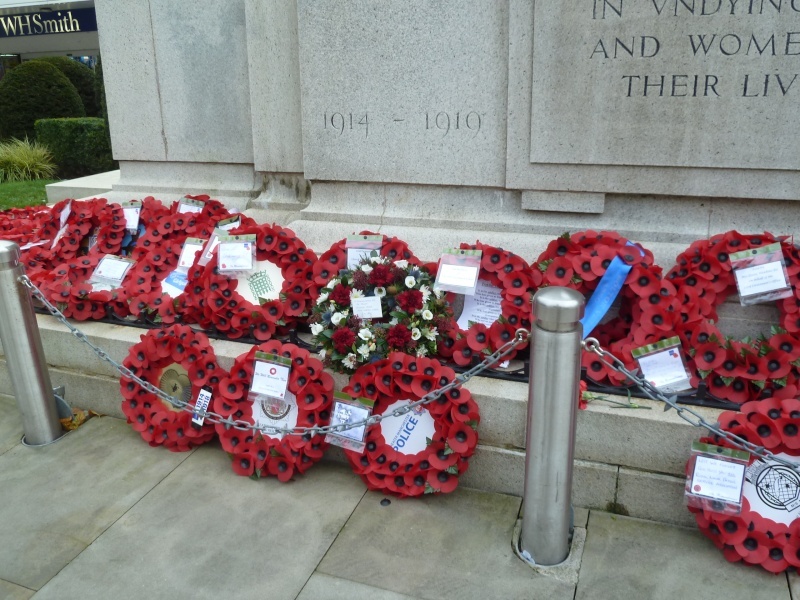 The service to commemorate British and Commonwealth servicemen and women from the two World Wars and subsequent conflicts will start at 11am. The Queen will pay tribute alongside Cabinet members, opposition party leaders - including Jeremy Corbyn - former Prime Ministers, the Mayor of London and other ministers. Representatives of the Armed Forces, Fishing Fleets and Merchant Air and Navy will be there, as well as faith communities and High Commissioners of Commonwealth countries. Also referred to as Poppy Day or Armistice Day, Remembrance Day is observed in Commonwealth countries, including Australia and Canada. Other countries such as the U.S. have similar observances like Veterans Day. November 11 is the anniversary of the signing of the armistice, which ended World War I hostilities between Allied nations and Germany in 1918. We will have our 2 minutes silence at 11am. 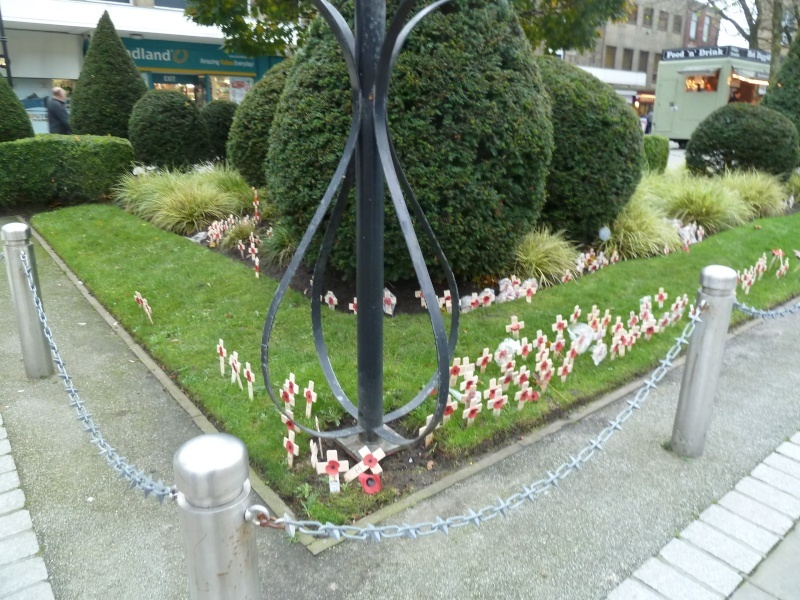 I went to town later, and took these photo's of the Poppies. 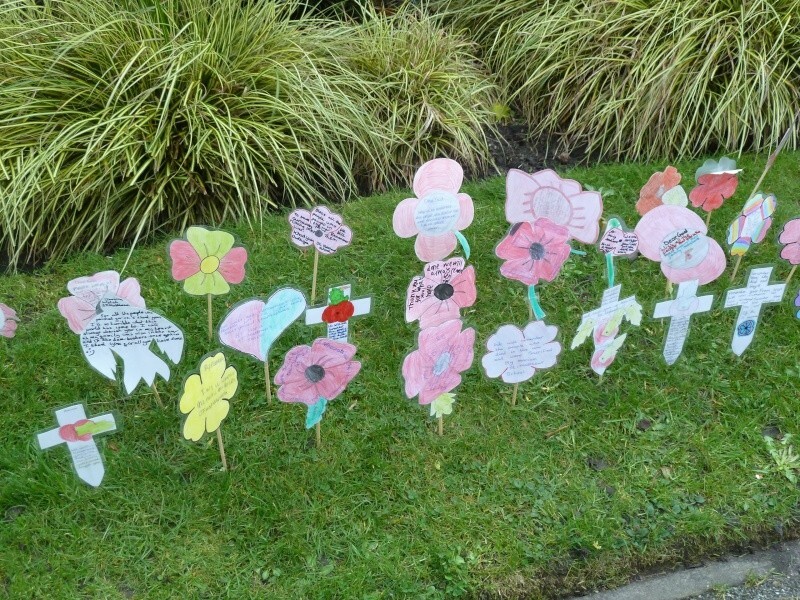 It looks like a school, or schools have asked some pupils to make their own designed poppies in remembrance, so nice they look. This post is perfect Tan, with very nice photos. If weather ok tomorrow/Friday I might take a photo or two. Thank you our Nordog. It will be lovely for sure if you can get to take some photo's.